About a year ago, my 70-something year old father was introduced to Bitmojis, those animated images in text messages meant to look a little bit like the sender. He loves them. About every third message I get from him is a Bitmoji. I personally don’t get the appeal, but they’re apparently a big deal. That’s why it was just a matter of time before one of the text-recruiting platforms currently vying for your dollars introduced their own. Announced today, Canvas is integrating with Snap’s Bitmoji Kit. The company says the new featured enables recruiters and job candidates to express themselves with the popular stickers in a text messaging-based interview. Bitmojis can be integrated into the Canvas platform like this. 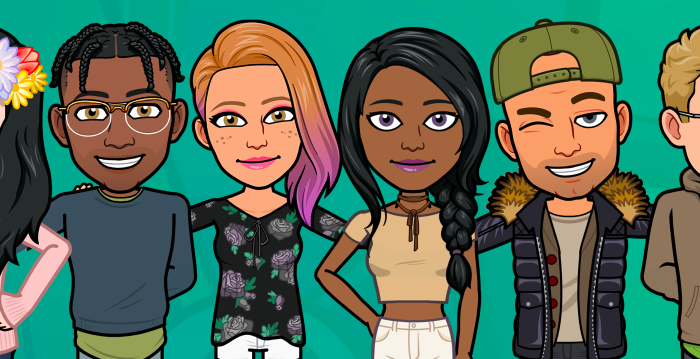 Canvas is the first HR tech platform to integrate Bitmojis personalized avatars, which they believe adds depth and personality to texting interviews and conversations with candidates and prospects. Snap launched the Bitmoji Kit api a few weeks back. it invited Canvas to integrate prior to the public release. Bitmoji avatars are primarily used in the Canvas application. Job seekers can also access the Bitmoji avatars just as they do today in apps like iMessage, Android, Google Chrome, and Snap. Canvas isn’t creating a new catalog of Bitmoji; instead, it’s integrating with the current app. “It’s like an ATS API integration, except with Snap Inc. for recruiter Bitmoji,” explained Brar. Bitmoji was the No. 1 downloaded Apple iOS app in 2017. Canvas plans to launch Bitmoji Kit web API integration in the next quarter.